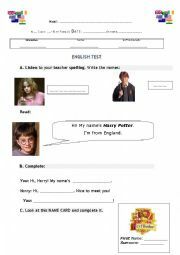 Present Simple tense of the verb HAVE (GOT), in the affitmative, negative and interrogative forms, indicating the possession of classroom school objects. 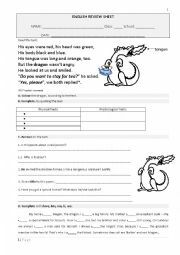 Reading comprehension - colouring according to the description; Reading comprehension - quationnaire about the text; Grammar - verb to be and verb to have; Vocabulary - school objects; Questionnaire about school subjects and school daily routine. 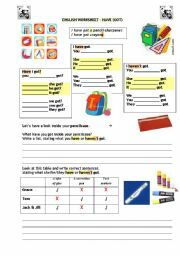 This worksheet aims to review basic gramar points such as presente of the verb TO BE and TO HAVE (got), used in DESCRIBING PEOPLE (oneself or others, stating physical & psychological traits); it also has a list of SCHOOL OBJECTS.